Just returned from a 9 night Southern Caribbean cruise and experienced something I have never seen on a Celebrity cruise before. For some reason, some fellow passengers felt “entitled” to reserve 4-8 sun loungers while other guest went without. Silhouette officers were approached over this issue and either ignored the situation or failed to take corrective action that is common practice on other ships. Maybe it was the large amount of groups on this cruise, but the fact of the matter is the 30 min policy has to be policed and enforced. Other than that, it was a nice cruise with an excellent itinerary. However, Silhouette is starting to show its age and seriously needs an upgrade which I understand will occur in 2020. 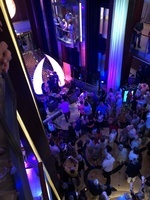 On a positive note, the food in the buffet and main dining room was excellent and so was the entertainment on this cruise. 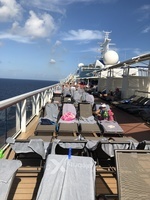 Overall, a good cruise but Celebrity needs to sort out the pool deck issues as some guests were so upset they decided not rebook with Celebrity. Just returned from a 9 night Southern Caribbean cruise and experienced something I have never seen on a Celebrity cruise before. 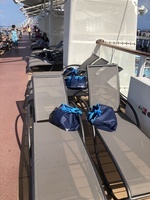 For some reason, some fellow passengers felt “entitled” to reserve 4-8 sun loungers while other guest went without. Silhouette officers were approached over this issue and either ignored the situation or failed to take corrective action that is common practice on other ships. Maybe it was the large amount of groups on this cruise, but the fact of the matter is the 30 min policy has to be policed and enforced. Other than that, it was a nice cruise with an excellent itinerary. However, Silhouette is starting to show its age and seriously needs an upgrade which I understand will occur in 2020. 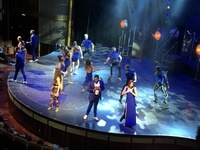 On a positive note, the food in the buffet and main dining room was excellent and so was the entertainment on this cruise. 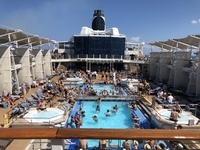 Overall, a good cruise but Celebrity needs to sort out the pool deck issues as some guests were so upset they decided not rebook with Celebrity. Good tour allowed us to see most of the Island. Felt a little rushed at some of the stops as we only had 20 mins and then moved on.